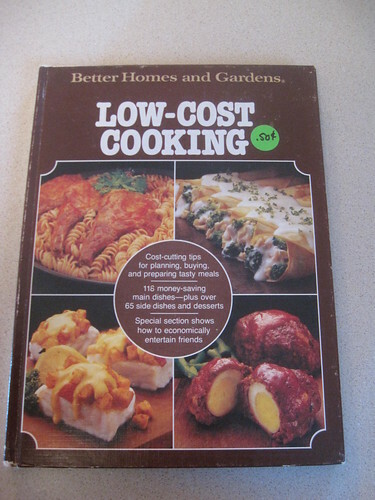 An example of a cookbook we picked up at a garage sale. The sticker price is $0.50, but it was a green sticker, so I believe it was discounted more than that. 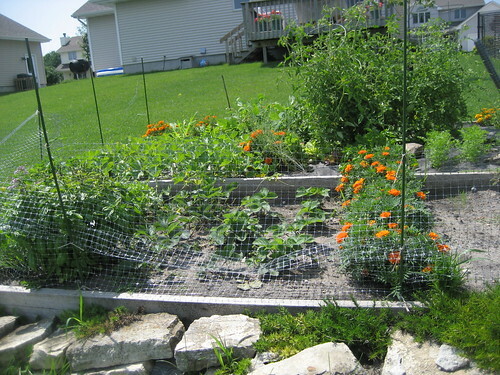 This is our garden on a nice summer day. 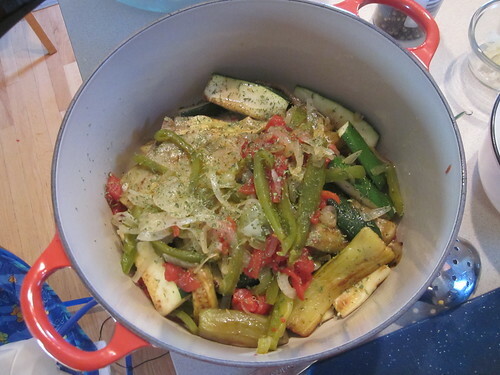 Here’s some ratatouille we made a while back in the middle of cooking. It’s a bit heavy on the green vegetables; ratatouille is as colorful as the ingredients you choose. 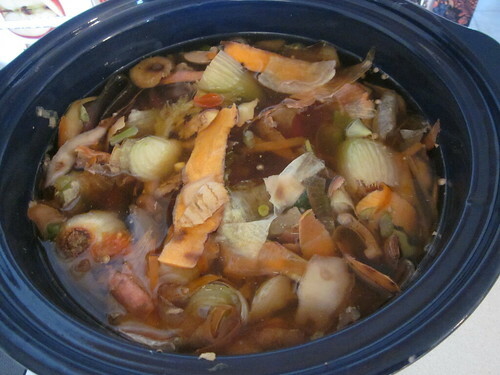 Here’s a batch of vegetable stock in the midst of cooking in our slow cooker. This is our barrel composter, which sits behind our house. 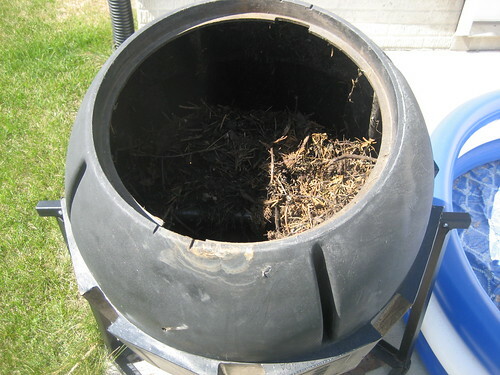 We put plant scraps, yard scraps, and other vegetation in it and then eventually use the compost on our garden.